The Command Prompt in Windows provides access to over 280 commands! Among these we just use about 20 to 30 in black background and with white font. But have you imagined yet that you can change the color of font in Command prompt? Have you ever think about it? Press Windows key + R > Type cmd in text box and hit Enter button. A command prompt will be open. Now type command color z and hit Enter Button. 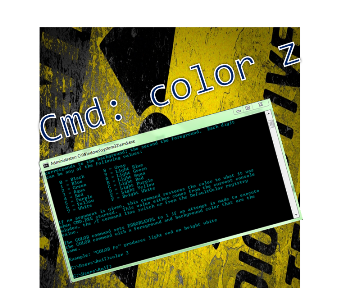 Command Prompt will display list of colors. Now Command Prompt will ask to enter any key.. Now hit Enter button.. Select your choice color number from step 3.